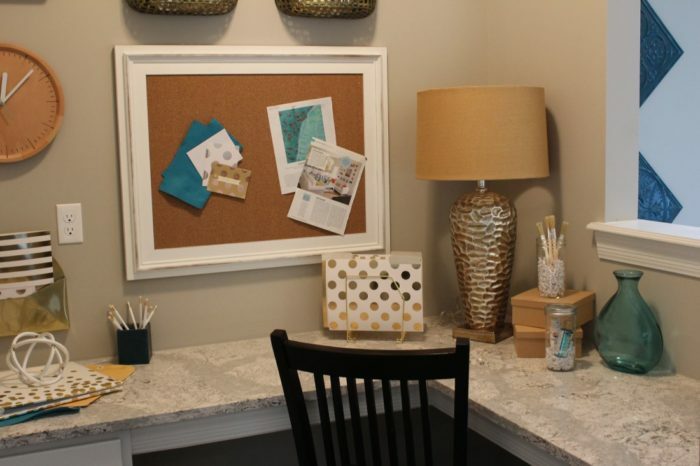 While new home construction in the St. Louis Metro area lags a bit behind demand in this seller’s market, a simple look around will tell you that builders are doing what they can to meet demand. According to a December 28, 2018 KMOV report, ”This year was the most difficult in a while for buyers but you can expect to pay even more in 2019 as mortgage rates and home prices increase.” But there are still excellent opportunities for those who are looking for the move-in-ready home of their dreams. 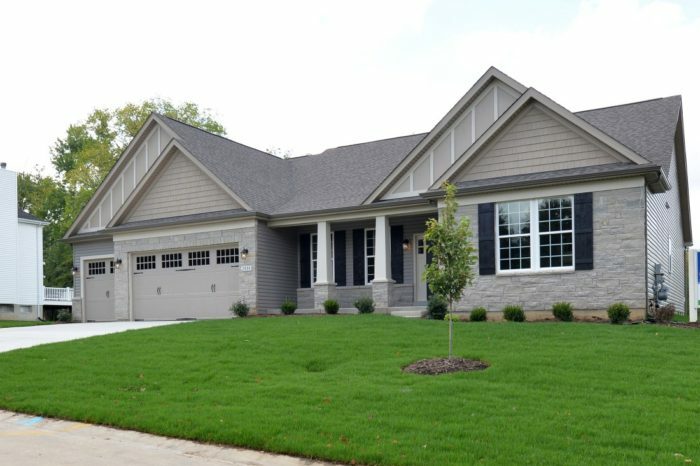 Rolwes Company is shining a spotlight on one of their fabulous new homes, located in Kensington Estates, an elegant enclave of six oversized, fully sodded and landscaped home sites, located in an established neighborhood of fine homes in St. Charles. The community feels private and tucked away, but still offers easy access to I-70 and nearby shopping and dining opportunities. Plus, four nearby parks offer walking, running, biking and hiking to satisfy your desire for an active, healthy lifestyle. The Monaco has impressive curb appeal. The Rolwes Monaco ranch, located at 2935 Kandahar Dr, offers single-level living at its very best, with an open-concept, split bedroom design that lends itself perfectly to entertaining and family gatherings. The home is appealing from the moment you arrive, with a beautiful stone front accented by 8’ carriage house doors on the 3-car garage, shake accents, and stately columns on the front porch. The Entry opens to soaring 11’ ceilings and beautiful wood flooring in the public areas, and 5 ¼” baseboards, 3 ¼” door casings, and wood windowsills throughout. A Formal Dining Room sits to one side of the entry, and a carpeted Private Study to the other. An expansive Gallery with an impressive open staircase, highlighted with iron spindles and contemporary newels, invites guests into the sunlit Great Room. 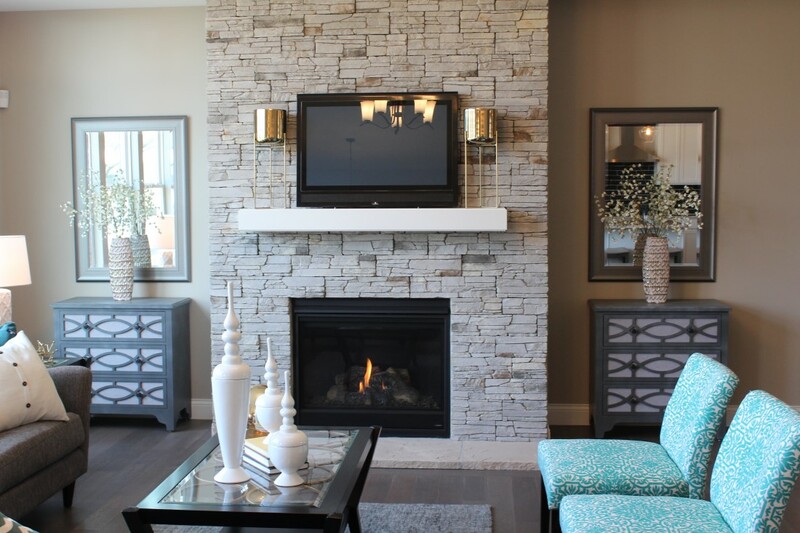 A floor to ceiling stone fireplace is the focal point of the room, with a cozy fire coming to life at the flip of a switch. The airy lightness continues into the Family Dining Room and the impressive Gourmet Kitchen, with its 42” cabinetry, Cambria counters, and dimensional glossy black subway tile backsplash. Black stainless Whirlpool appliances, including a gas cooktop, stacked oven/microwave, and dishwasher make this kitchen a cook’s dream, and the oversized prep island gives friends and family a place to linger without interfering with the cook. A truly impressive walk-in pantry means you’ll be stocked and ready for whatever culinary crisis may arise. 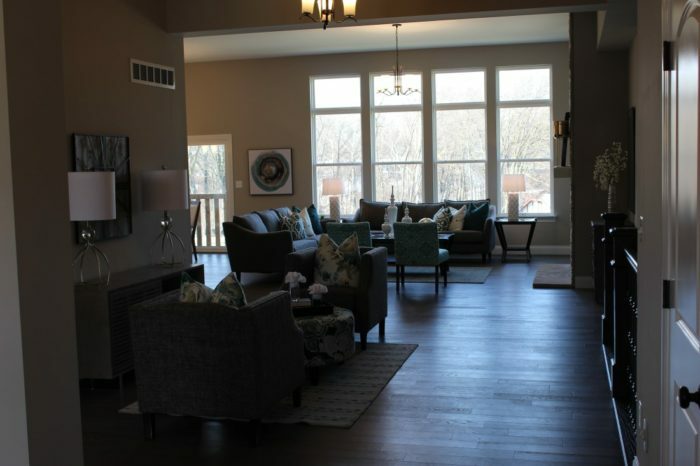 Offering the most user-friendly new construction in the St. Louis area is what sets Rolwes Company apart from others, and the special features in this home are proof. The alcove connecting the Kitchen and Formal Dining Rooms is the perfect spot for a bar, butler’s pantry, china cabinet, or whatever best suits your entertaining style. On the opposite side of the Kitchen, a large Planning Nook with plenty of drawers and Cambria counters is ready to become home control central, while still connecting to the rest of the action via an interior opening overlooking the Family Dining area. Two spacious bedrooms with walk-in closets share a large Jack-and-Jill bath at one end of the home, separated by the public space from the Owners’ Retreat, with its fantastic tray ceiling. The space offers an elegant reprieve from the stress of daily life, beckoning you to relax in the sunlit Master Bath. 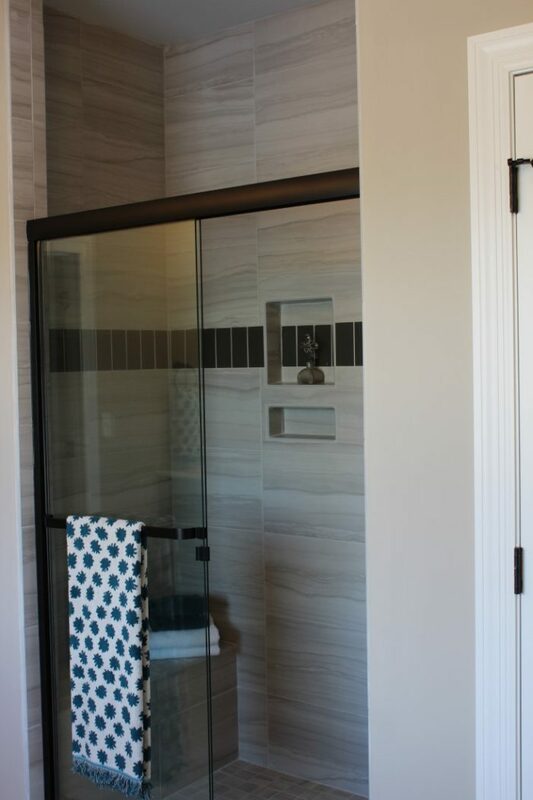 You can soak in the Garden Tub or choose the oversized seated shower with its beautiful custom tile work. A private water closet, oversized linen closet, comfort-height double vanities, and a truly impressive walk-in closet complete this retreat. Even the more private areas of the Monaco are impressive, with an oversized Mudroom with closet, garage-adjacent Main Floor Laundry, and lovely large Powder Room completing the main level. The aforementioned open staircase leads to an expansive lower level, complete with bathroom rough-in and large windows, just waiting for you to determine its best usage for your family, whether it’s man-cave, game room, craft oasis, or in-laws quarters. While researching, one must consider more than the esthetics of your new home. Practical concerns like energy efficiency, ease of maintenance, and even pest control should be a consideration. 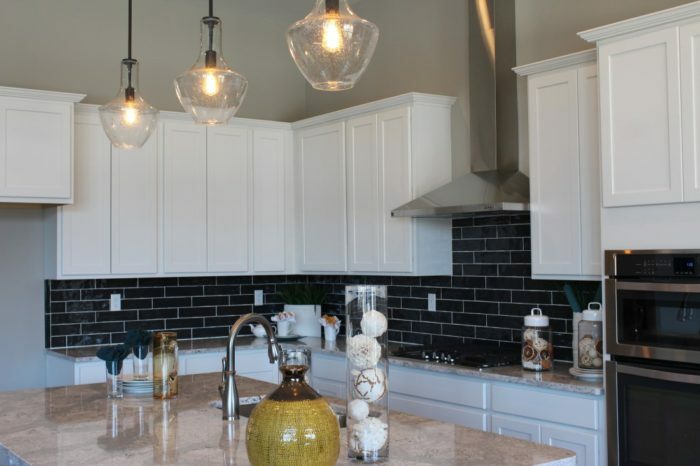 Rolwes Company, known for the livability of their plans and homes, addresses these concerns in all their new home construction in the St. Louis area, but especially in this location. This home is truly a gem. Architectural shingles offer peace-of-mind with a 30-year warranty, while R-38 attic insulation and Low-E windows insure both comfort and energy savings. Closed soffit and fascia and overhang gable ends reduce required maintenance, and fully sodded yards and professional landscaping mean less time spent caring for your lawn. Finally, the integrated PestShield pest control system means one less worry for you. You can learn more about this beautiful St. Charles home by visiting Rolwes Company offsite sales office at Bristol Ridge, 512 Old Friedens Road, St. Charles. Or schedule a tour by calling Crystal at 314-499-6700 or emailing kensingtonestates@rolwesco.com. Recently reduced to 529,990, this luxury home is a true value in an exceptional community.